I really need to develop a sense of humor about this weight situation. (Not that the circumstance is funny…weight gain never is, especially when it’s a regain.) But what’s done is done, and if I can’t find humor in it, then I at least need to cultivate a good attitude. In other news, today I’ve embarked upon a lower-carb eating plan. Wait! It’s Monday, that is not news. Nobody really likes to talk about that. Did you ever notice that every time you dig your heels in and say, “I am going to do it this time! I am going to only eat this, or not eat that…” that you end up doing the opposite? Maybe that’s just me. The harder I try to control myself, the more out of control I get. Hence the regain of the weight. Remember that parable about the sower and the seed (Matt 13)? How some seed fell along the path, on rocky ground, and among thorns, and the plants didn’t survive? But some seed fell good soil and produced a crop? I don’t have the ability to produce the fruit of self-control by myself. I’m the soil. He is the seed. It is only by faith in Jesus Christ that I can bear fruit. The last time I wrote about weight issues, I was not in a place to hear what anyone had to say. I tried, but it’s hard to hear when you’re wallowing in a pit. Caring people left some good comments for me, and I just wasn’t in a place to receive them. I am in a place of hope today. It is something I had already figured out, but lost sight of: I don’t have to rely on me…I can fully rely on Jesus. I’ll be rereading comments and checking out the blogs suggested to me. Those of you who know this battle, I appreciate you walking with me. And those who can emphasize but don’t struggle, you are appreciated as well. It always amazes me that people who love Jesus passionately still struggle in this area. Why is it so hard to find freedom and live by the Spirit in this issue? After years of soul searching and praying, I believe that there are physical reasons some people overeat. I think going low carb is a good road to deal with this. Don't misunderstand me, I know there is an obedience issue at hand when it comes to overeating but I have come to understand it is not only a Spiritual issue. Self control...perhaps...comes in the form of obedience by not even starting with sugar; not overeating, even if I am eating something healthy, or just managing to only eat when I'm hungry, stop when I'm full. I will say this: I am bone weary with this battle. I can't continue on this roller coaster of overeating/beating myself up/weight gain/weight loss/etc., etc., etc. After trying to fight this losing battle since my teen years, I am completely ready to hand the reins over to Someone who really can (already has) done something about it. Thank you so much for your comment. I just dropped off a diet plan at my friend Barbara's house this morning. We're starting today. 3 decent meals a day, at least 4 hours apart. No snacks. No sugar. 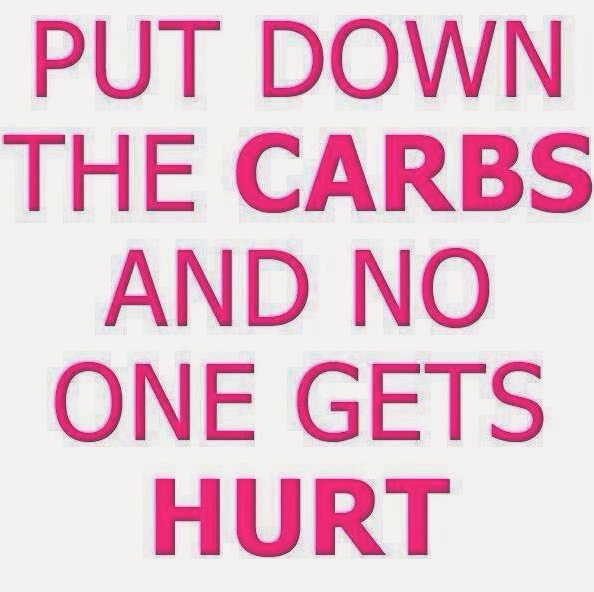 Less than 100 gr of carbs a day. (I'm also gluten free, Barb is not. Feel free to come on along. After dealing with tighter than I want pants to feel like when I'm wearing them, I jumped back on the weight battle myself these past few days. I am trying when I am physically hungry and it is not time to eat to redirect it to a spiritual hunger, wanting to meditate on something about Jesus as well as also to say "it is okay to feel hungry, you have given your body the amount of food it needs right now, you can wait until it is time to give it something more, and instead of saying "I'm so hungry" I'm saying again "its okay to feel hungry." So far its working, but its only been a few days. It is a hard battle to continue fighting; remember the battle belongs to the Lord. "I am in a place of hope today." Such a powerful little sentence! I believe that because of all the times I have stood so close to the cliff edge, that "what's the use, why try" cliff edge. Hope is so powerful, when its foundation is the Lord. And I know He is your foundation. You've mentioned many times lately about the Fruit of the Spirit. For many many years, I've studied/prayed/meditated etc etc about them. Wondering why I couldn't "grow" more self-control. All the stuff "we" in this battle all wonder about, I'm sure. Well, a few months ago, I had a "duh" moment. (different from an "aha" moment, since it seemed so obvious afterwards, that ya just want to smack yourself for being so dense). I felt the Holy Spirit answered me when I was, once again, trying to understand the whole Fruit thing (or my LACK of fruit thing). He told me I was looking at it wrong. It was not "my" fruit. I was trying to grow it, as though I was the owner, the farmer/gardener/tender, etc etc, like I was the responsible party, with the power or ability or responsibility to grow it. Oops... I got it. It was HIS fruit. HE was the owner, Master Gardener. He would grow the fruit IN me, as I yielded to Him. (remember Deb's comment about total surrender?? ).